Your go-to place for management and leadership training. Where are You Taking the Team Under Your Charge? As a leader, you are responsible for sales, one way or another. In fact, nothing happens in business until a sale has been made. So, are you achieving the income goals, sales goals, or any other big goal you are responsible for? Are you eating their lunch, or are they eating yours? As a leader, it is imperative that you set specific targets and goals for the team to achieve. Each team member must clearly know their responsibility and what expectations have been set for them. The sales process offers great examples of the value of leaders setting direction, determining targets and clarifying goals. Let the team know what they are responsible for achieving and set each individual up for success. 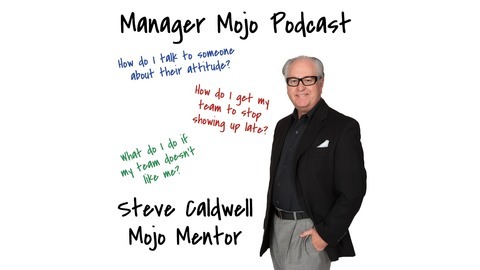 Known for his expertise in the sales arena, Anthony Iannarino returns to the Manager Mojo podcast to discuss how to Eat Their Lunch: Winning Customers Away From Your Competition. 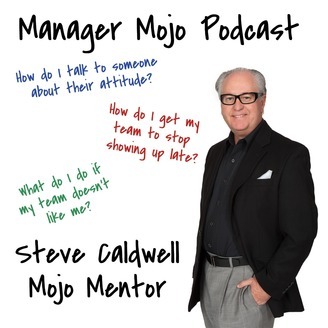 If you are a leader, this is one episode you won’t want to miss! Learn more about Anthony Iannarino and receive his award-winning sales information by clicking here. You can also check out his books at that link, or click here to go directly to Eat Their Lunch: Winning Customers Away From Your Competition. The post Where are You Taking the Team Under Your Charge? 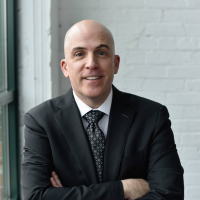 – Steve talks with author of the new book “Eat Their Lunch: Winning Customers Away From Your Competition” Anthony Iannarino appeared first on Manager Mojo.